Catalyst Global team building products are sold and distributed in Vietnam under exclusive licence by Rubik Asia. At Rubik Asia team building, our success is based on being outcomes bfocused - something which is quite unique in Vietnam. Like other team building companies in our region we run fun, enjoyable staff day outs and conference team building activities but what makes us different is that we listen to customers and design and deliver team building activities which match clients' desired outcomes, bringing lasting impact to the health of an organisation and the happiness of its people. We believe that having an employee engagement strategy is vital to the success of a business. Our sophisticated team building programs develop teamwork, leadership, team bonding, collaboration and effective communication. From an conference ice breaker to a fun staff day out team bonding activity right to an experiential learning program, our team building activities are designed with the success of your staff and the financial health of your business in mind. 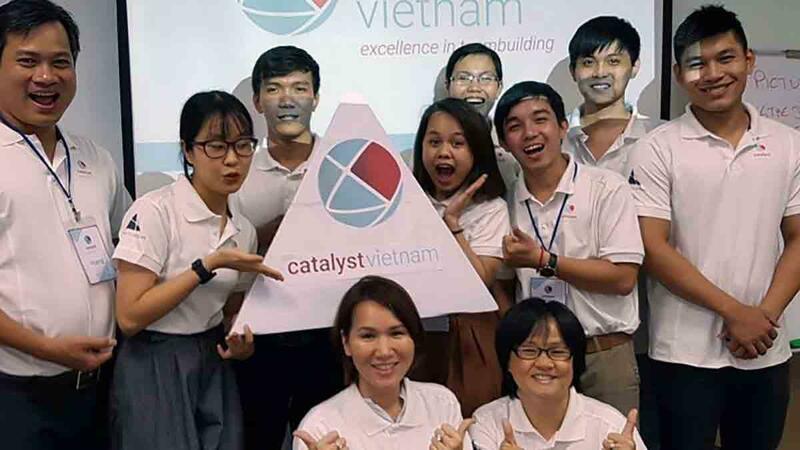 Here at Catalyst Vietnam, as part of the Catalyst Global network, we offer the Catalyst Global guaranteed quality assurance of high standards, product excellence and extensive experience when organising and delivering team building products and corporate events. We work closely with local and inbound MICE delegates designing interactive programs to guide them through the destination of choice with Go Team, Catalyst Global’s amazing race treasure hunt app. With fun team bonding activities that help your team explore top destinations in Vietnam including Huế, Hoi An, Sapa, Halong Bay, Hanoi, Ben Tre and Ho Chi Minh City, Go Team is the ideal solution for your corporate group. Our enthusiastic and experienced staff are on hand to design the right program for your team whether you desired outcome is CSR, process improvement, staff development, staff retention, change management, networking, strategic planning, communication or customer relationship management. 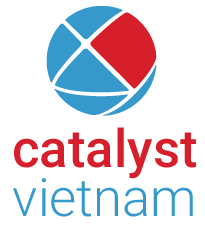 Contact the team at Catalyst Vietnam today to get started designing a team building program for your team.